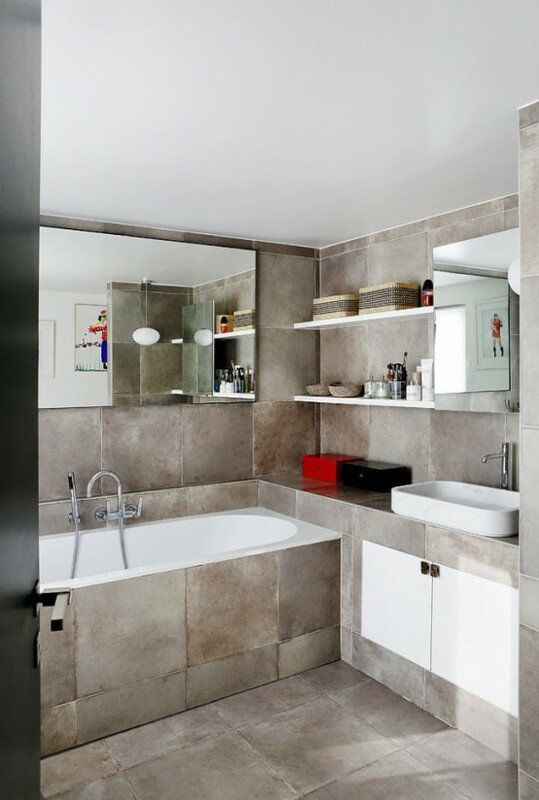 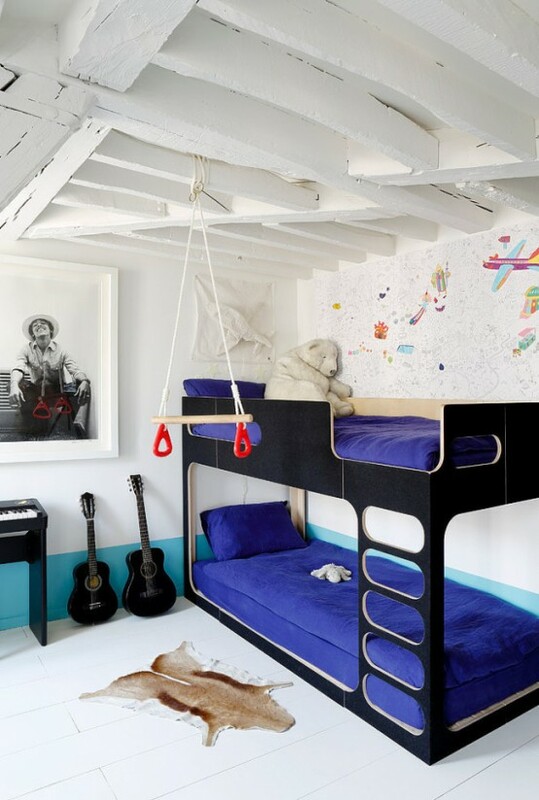 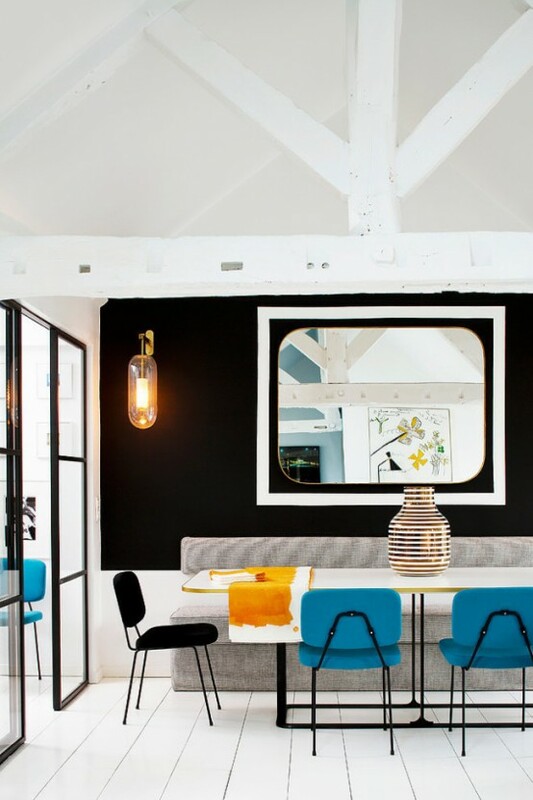 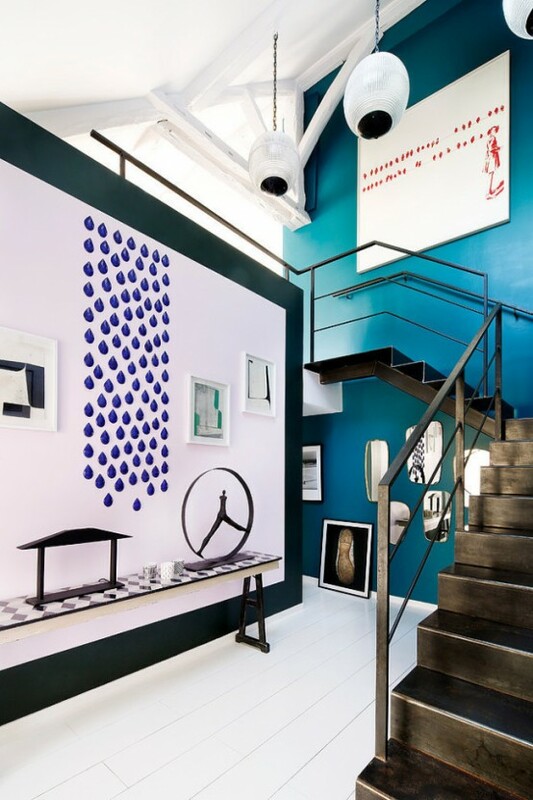 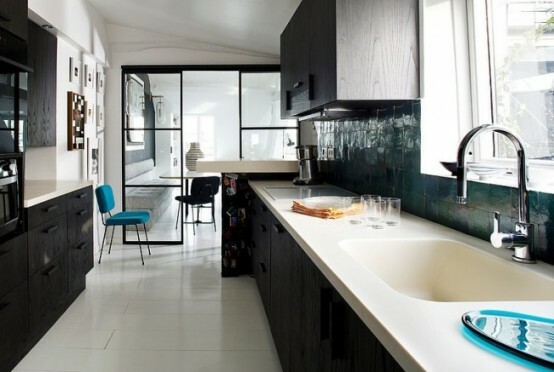 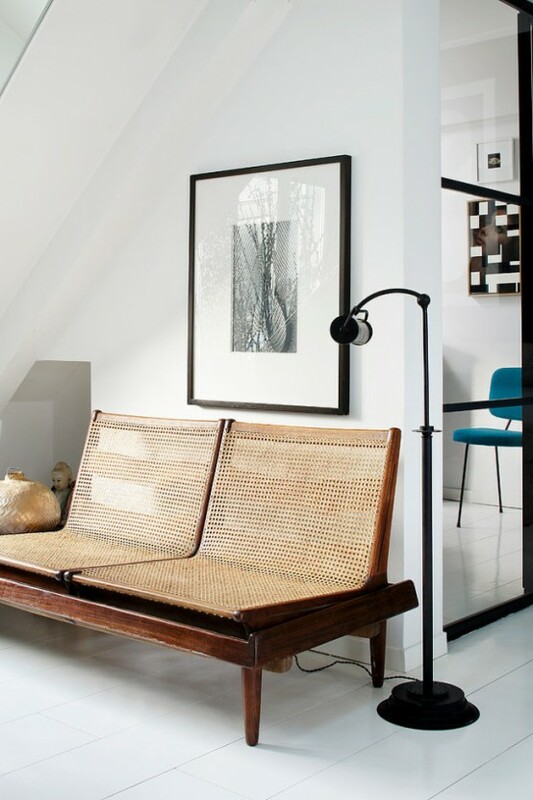 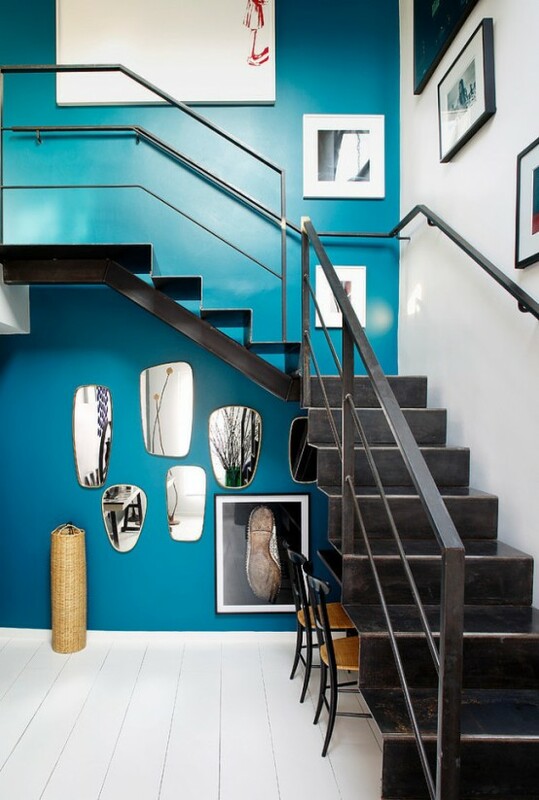 This beautiful colorful eclectic duplex located in Paris, France has been recently designed by Sarah Lavoine. 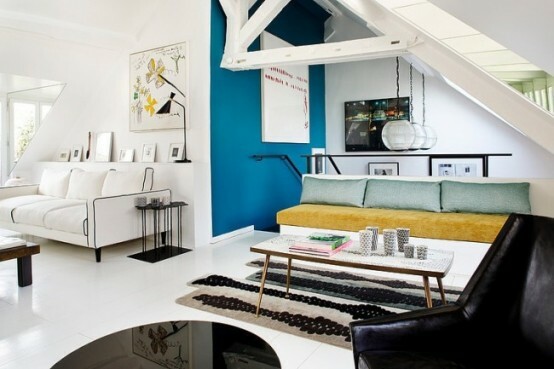 The interior is modern, lively, eclectic and refreshing – all these features were achieved with the use of colors. 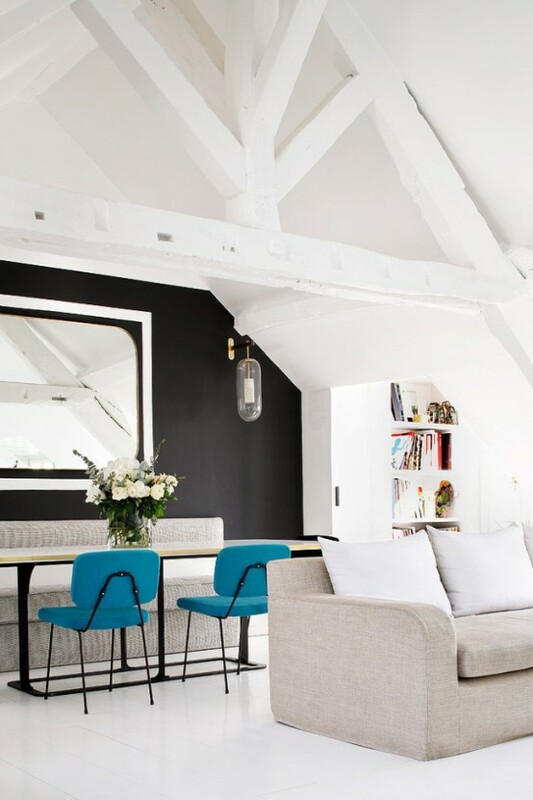 I love how black and turquoise were used in the white background to attract attention – they look so eye-catching and so bold! 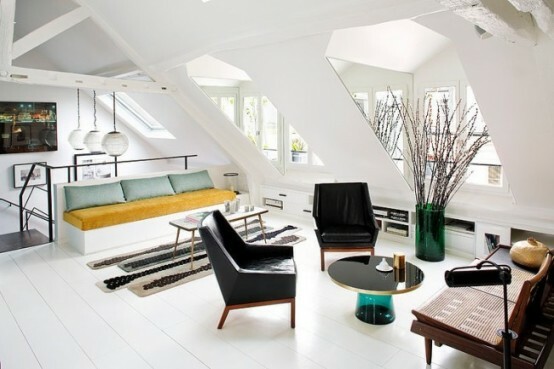 White color reflects and increases the light that comes through the window. 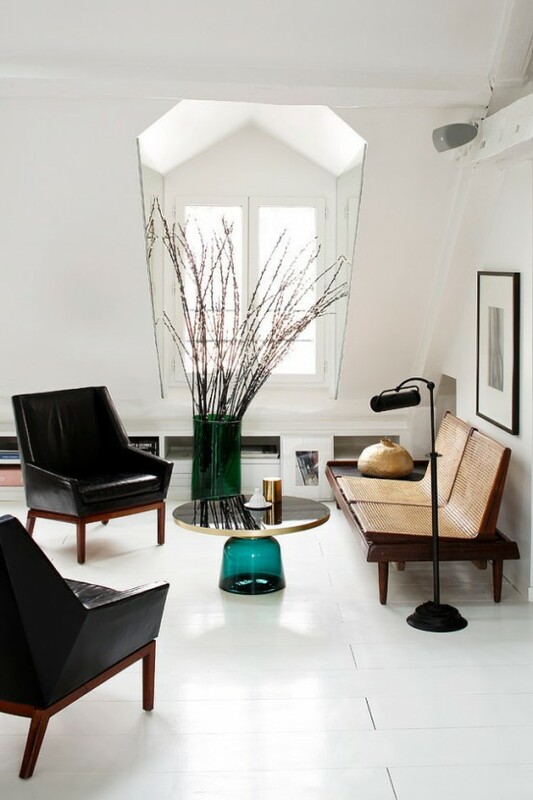 There are many details that you’ll like: rough wooden beams on the ceiling, chic mid-century modern furniture, industrial lamps and accessories. 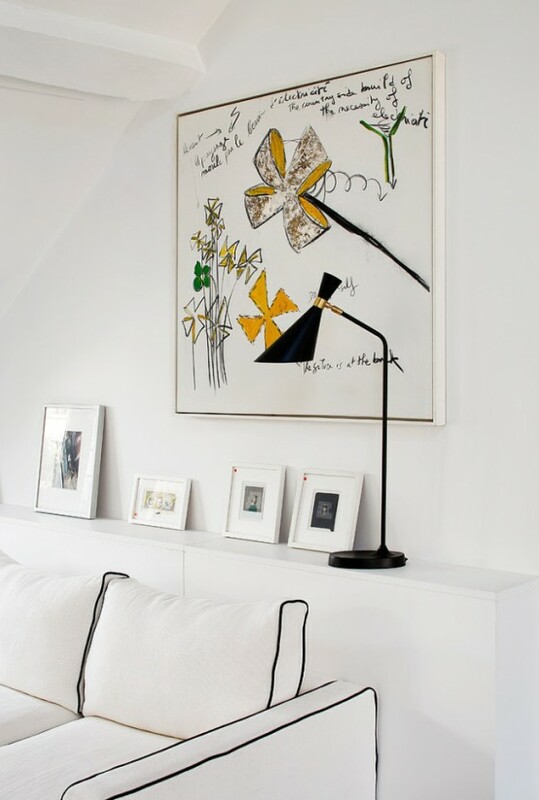 All together, these things look like an integral whole – so harmonious and inviting!